An effective way to keep an area secure whilst remaining functional for foot traffic and vehicle entry. 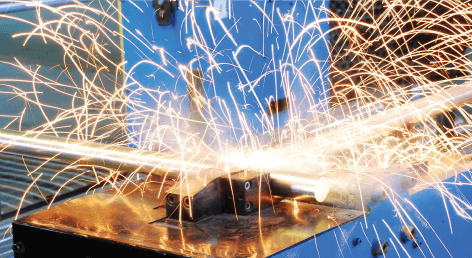 Gates are connected via a coupler that is designed to work as a hinge, giving you the freedom to add a gate at any point in your fencing line. Specially made gate panels are an ideal solution to create a neat and tidy opening that can be secured firmly with a slide bolt and / or padlock. Rather than propping a regular fence panel open as a makeshift solution, Fortress Fencing recommends investing in a specific gate panel for your temp fence setup to maintain a professional appearance, increase safety and allow for easy no-fuss access. Gates are available for both pedestrian access and vehicle access and are an effective way to keep an area secure whilst remaining functional for foot traffic and vehicle entry. 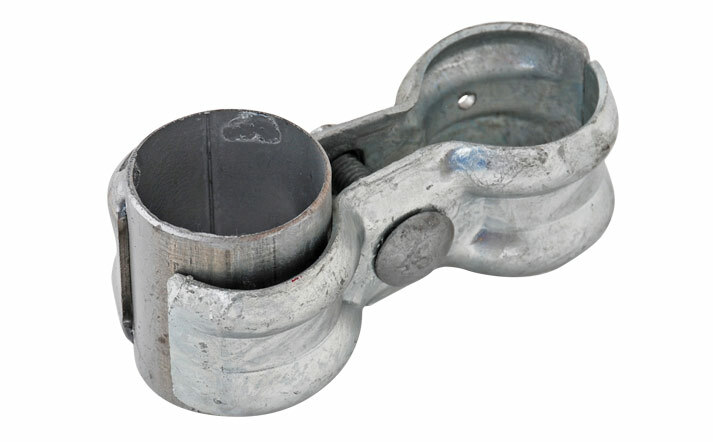 Gates are connected via a coupler that is designed to work as a hinge. 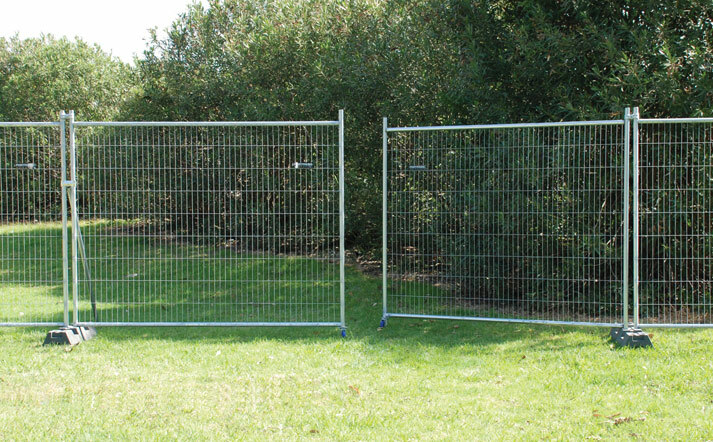 This gives you the freedom to add a gate at any point along your fence line. Adapted standard fence panels based on our popular Fortress Fencing temporary fence design. The double gate opening is made up of 2.5m x 2.1m panels with 40mm OD horizontals and verticals. Once installed the gate opening spans 4.9m. Note that gates must be used with a hinge and wheel set. This purpose-designed pedestrian gate can fit anywhere within your fencing line to give a 1.5m opening. 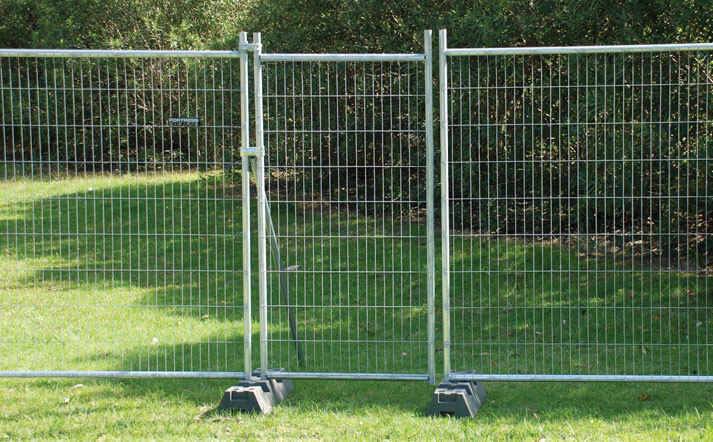 This gate can also be used as a fence panel in applications where room is limited.